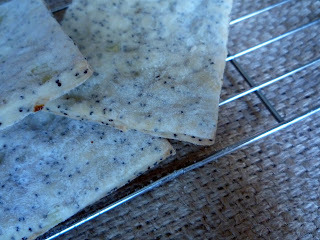 These onion crackers are pretty awesome - although next time I would try adding some chives and/or green onion. I would also like to try cooking the diced onion in the oil before adding to the dough. The recipe originally called for one egg which I simply omitted - with no replacement and it clearly did not matter! Mmmm, onion crackers! What a great idea. I've never tried to make any type of cracker but you've inspired me. Love your blog all the fantastic bread recipes. I've nominated it for a Liebster award check out my site for the details.